Steve Bannon spoke Tuesday in Fairhope, Ala., during a rally for US Senate candidate Roy Moore. 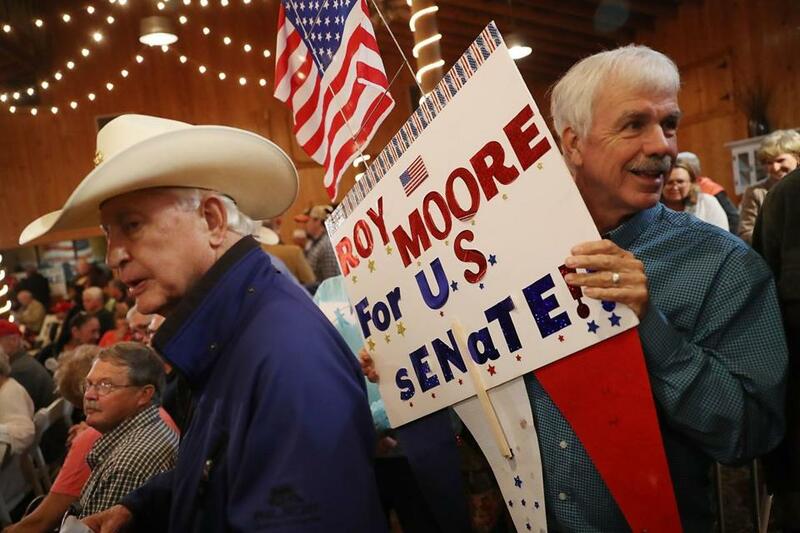 FAIRHOPE, Ala. — It already felt a little like a victory party in Alabama Tuesday, where Senate candidate Roy Moore is suddenly feeling love from the Republican Party despite weeks of disclosures that he sexually pursued and assaulted underaged girls. The neck-and-neck special election contest in Alabama has become, for Bannon, the most extreme example of his “honey badger don’t give a [expletive]”-style of politics, a philosophy inspired by a viral video that shows a badger chasing a jackal and fighting a cobra in search of food. Along the way a narrator explains how the honey badger doesn’t care who he steps on or how disgusting his methods appear to others. Should Trump fear a Sen. Romney? 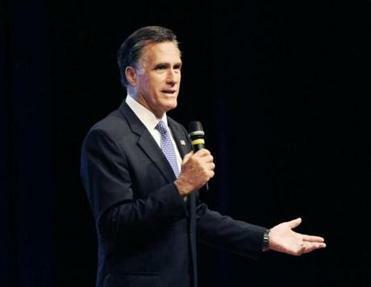 A Senator Romney would probably serve as the counterweight trying to block President Trump’s takeover of the Republican Party. It is also the first of what Bannon and his ultraright, nationalist allies hope is a movement to elect more outsider candidates to the House and Senate. 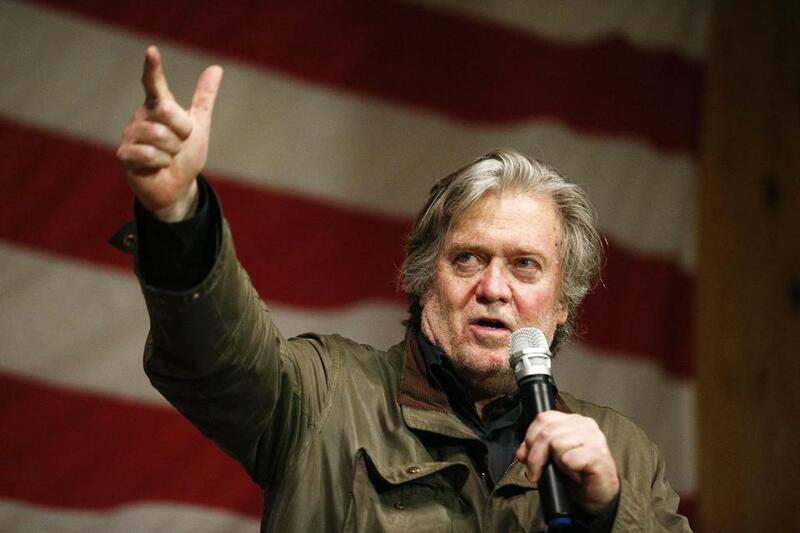 Tuesday evening, Bannon also tore into former Massachusetts governor Mitt Romney, a Republican who is a sharp Moore critic and a possible candidate for Senate in Utah if incumbent Senator Orrin Hatch opts to retire. Bannon’s support in the contest against Democrat Doug Jones has been crucial for Moore, the former renegade state judge and ultraright favorite who has been accused of sexually assaulting teenaged girls when he was a single man in his 30s. The contest, a special election set for Tuesday, is to replace Jeff Sessions who was tapped to be Trump’s attorney general. 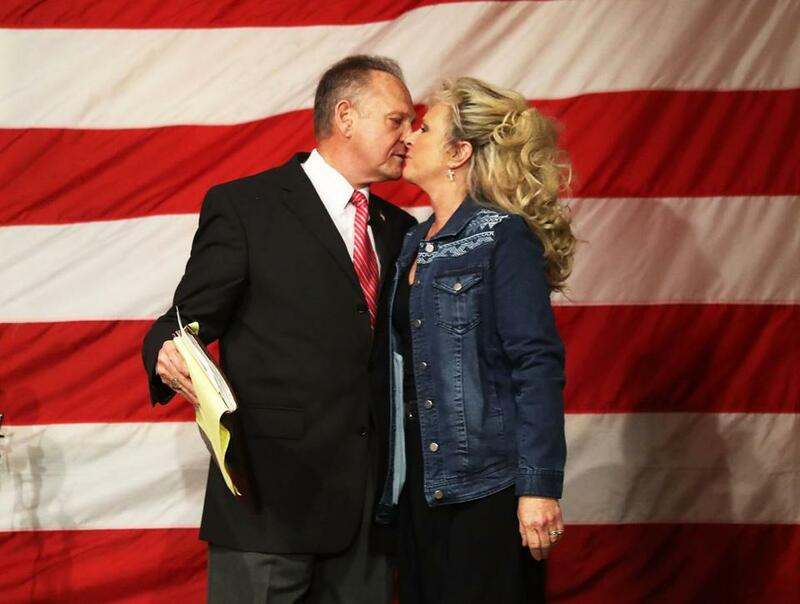 Roy Moore kissed his wife Kayla Moore during a campaign event at Oak Hollow Farm. 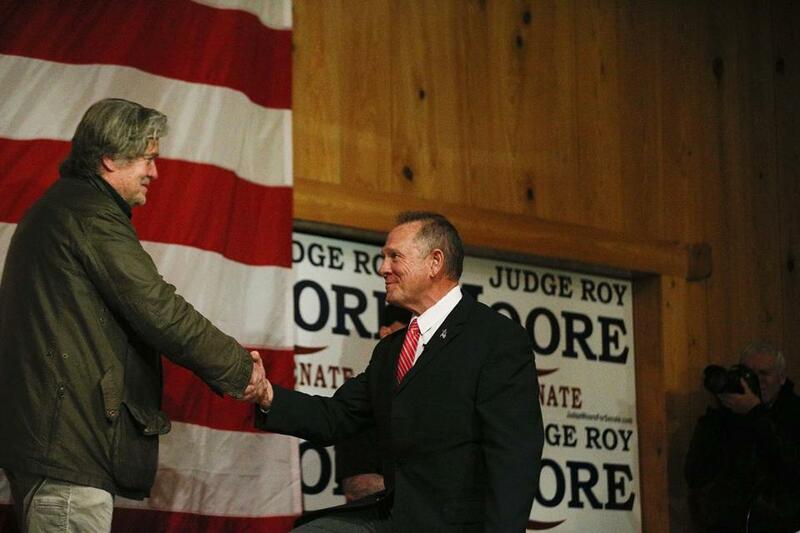 Steve Bannon (left) introduced Roy Moore during a campaign rally. Moore moves the party so far away from the establishment that the previous rebels are suddenly seen as reasonable, Surabian said. “Roy Moore will normalize Ted Cruz,” he said, referring to the Texas senator whose antics contributed to a temporary government shutdown in 2013. The president was already planning a trip Friday to Pensacola, Fla., a city that’s so close to the Alabama border it’s in a region of the state known as Flora-bama. 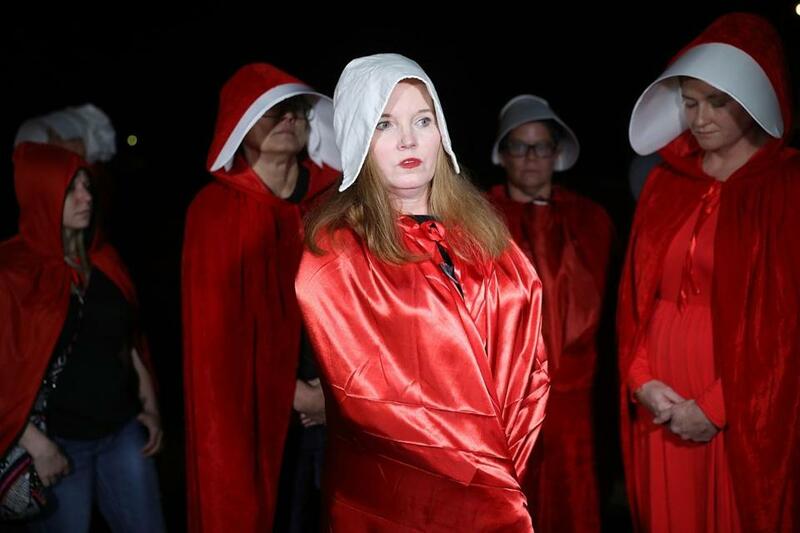 Ginger Poynter and other protesters who said they support the women that are speaking out against Roy Moore gather as he held a campaign rally. Jones is a former federal prosecutor who helped jail the man responsible for bombing the Atlanta Olympics. While in his federal post, he landed convictions for two Ku Klux Klansmen who bombed a church in Birmingham in 1963, killing four little girls. People attended a campaign rally for Roy Moore.